[x] No Need Extra Activation. [x] No Need Extra Pack. [x] Enjoy the Power of Miracle Team. [x] More then 400+ Model Supported. [x] Knox Safe Like Before. 2.LG Add LG-Reset User lock (No Root Required). [x] Reset Pattern Lock without Root. [x] Reset Password - Pin Lock without Root. [x] Reset G-mail Lock without Root. [x] More then 450+ Model Added. 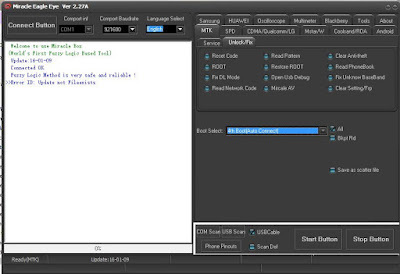 5.MTK Add Analysis Scatter file (EMMC) (Open *.txt). [x] Advance Function for Advance User. 6.MTK Improve Clear Setting / FRP. [x] Thousand of MTK Mobile Can Remove FRP. [x] Suspected App Data Base Updated. [x] More Faster More Unique. [x] SP-Unlock New Flash ID Support. [x] SP-Unlock New HW-Ver Support. [x] New Flash ID Supported. 11.Thousands Mobile Test By Team for Give you Better Service.